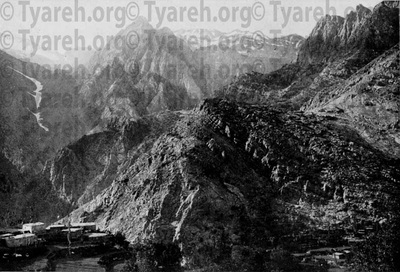 Chamba D'Malik, the capital of Upper Tyareh. The church of Mar Sawa, in Roomta, Upper Tyareh. 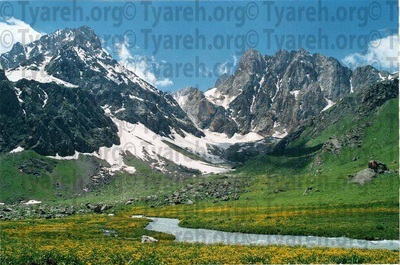 A modern view of the Hakkari mountains. 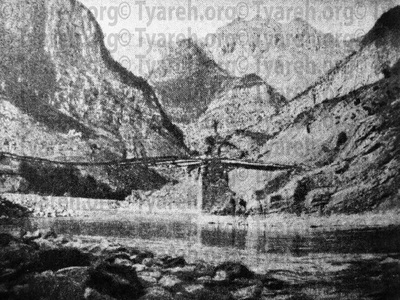 The famous bridge of Lizan at Matha D'Lizan in Lower Tyareh, Hakkari. 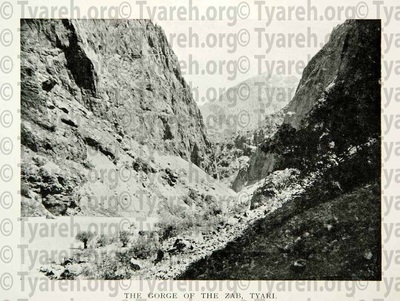 The Zab gorge entrance to Tyareh, Hakkari. A drawing of the Hakkari mountains. The famous town of Ashitha, in Lower Tyareh, which was the largest Assyrian town in all of Hakkari. A drawing of what a typical bridge looked like in Tyareh, Hakkari which were usually no more than three feet wide and up to eighty feet high. 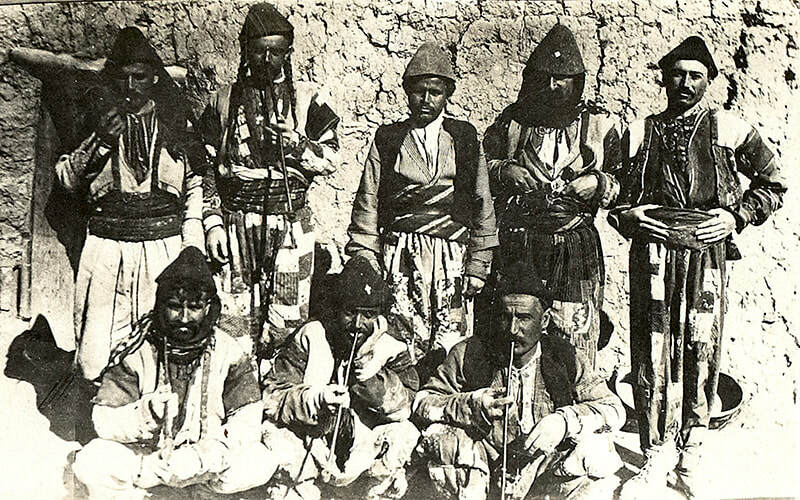 Men in Tyareh smoking tobacco pipes pre 1915. 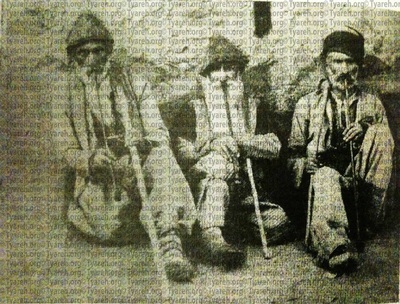 Tyareh men during leisure time smoking long tobacco pipes pre 1915. A modern view of Tyareh clothes worn specifically for celebrations by men and women. 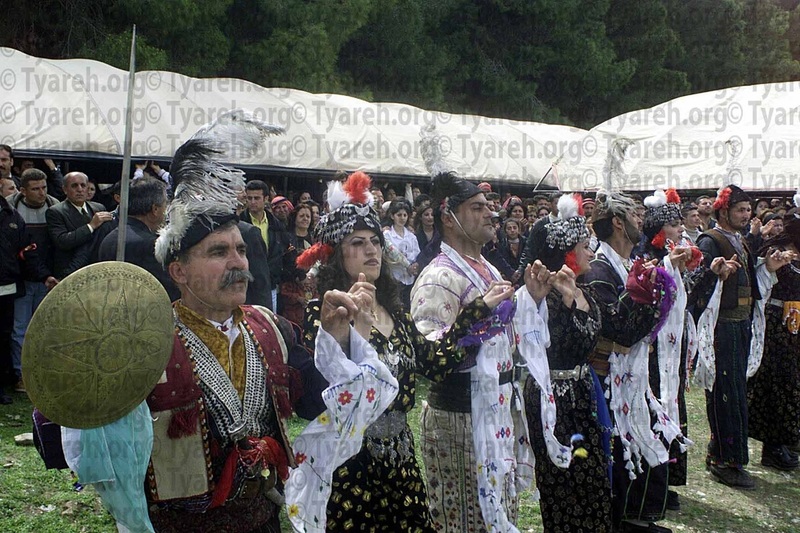 Tyareh Assyrians celebrating the Assyrian new year in Syria dressed up in their traditional tribal attire. 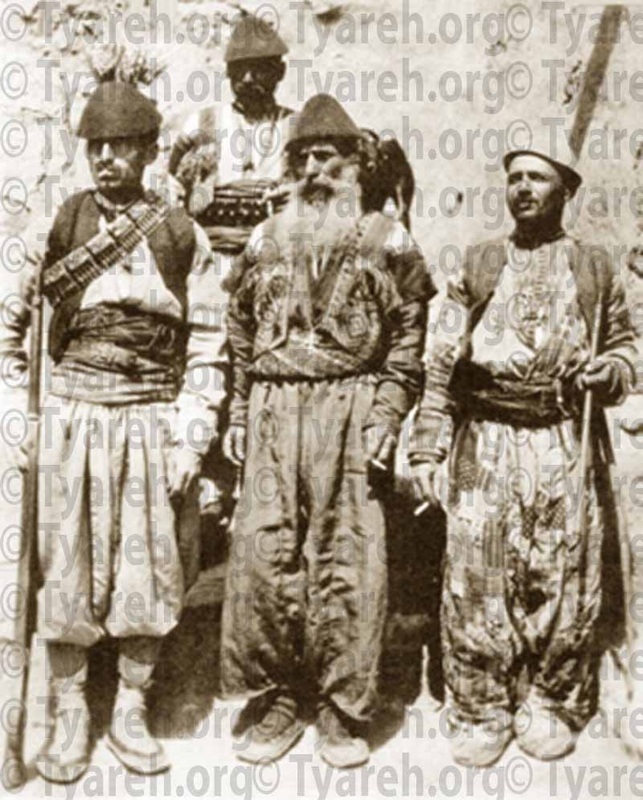 A Tyarayeh priest (standing middle) flanked by armed clansmen. 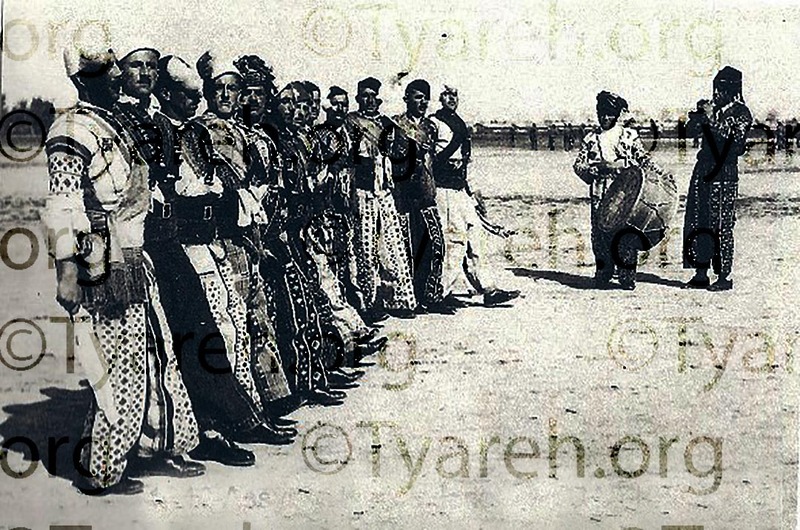 A group of Tyarayeh men in the British Levies (Iraq) circa early 1940s dancing the traditional Assyrian khigga dance. 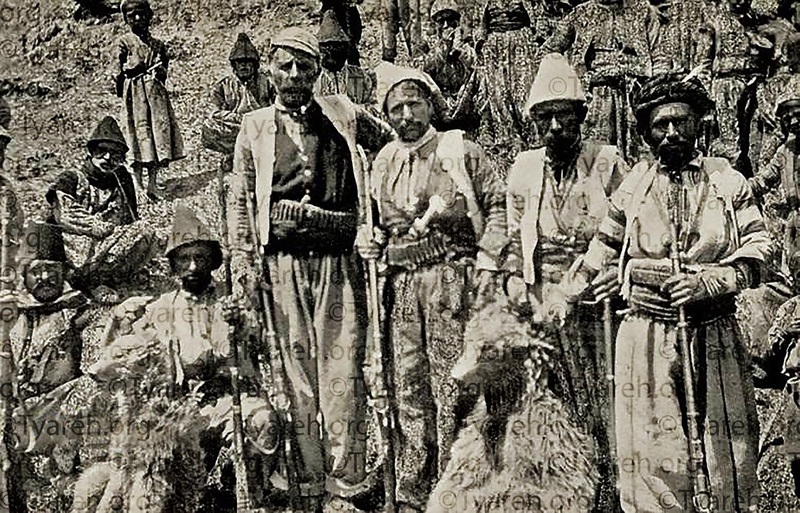 A group of Tyarayeh fighters with their herd of sheep standing alongside Assyrians of other tribes (circa early 1900s-Hakkari). Beards were a common style among the men of Tyareh. My paternal grandfather's "Barrah" or quilt that belonged to his father. 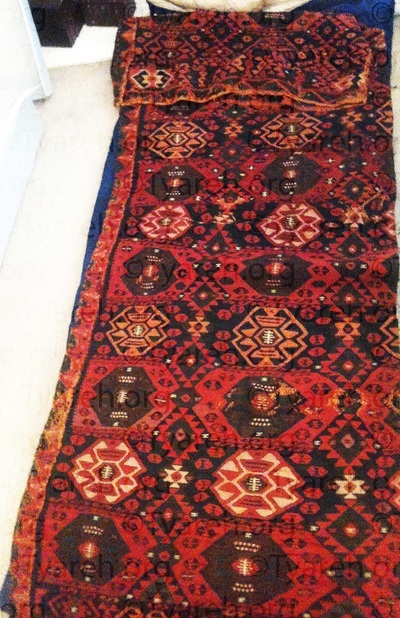 Even as an elderly man, my grandfather used this heirloom quilt to sleep on. This quilt has been in our family for over a hundred years. This family heirloom "Parzona" belonged to my paternal grandmother, it served as a backpack for carrying food, small items or babies in Tyareh. It is over a hundred years old. Tyareh men standing with other tribal Assyrians in pre-1915 Tyareh, Hakkari. Life in Tyareh, as with other regions in the Hakkari mountains, was extremely difficult. 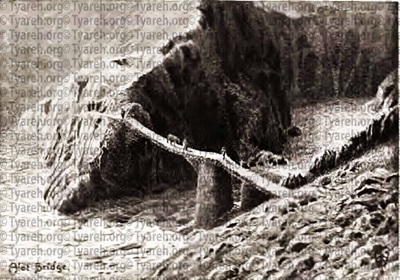 Only the strongest survived living at such high altitudes (6000-7000ft) and it was not uncommon for many newborns to die. This natural selection process ensured that those who survived were tough and in good shape. 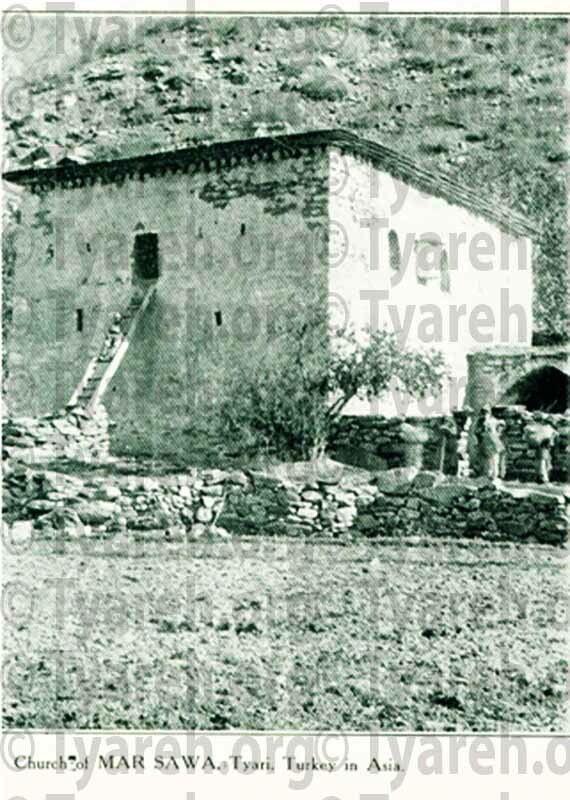 Agriculture in Tyareh was primarily based on livestock since there was very little farming done as a result of the mountainous terrain. The people of Tyareh made use of any arable land they could cultivate and usually cultivated fruits. 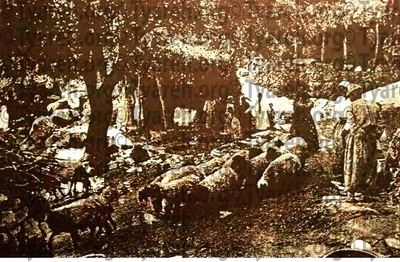 Their livestock consisted of sheep, goats, chickens, oxen etc. The most important animal, however, was sheep because it's fur was used to make wool and along with its hide, they were used to make clothing and other items. Because sheep were valuable, sheep herding was often a dangerous business as it was customary for the Tyareh and Kurdish Tribes to engage in sheep theft from each other in which fatalities for those involved were not uncommon. The houses in Tyareh were simple rectangular or square shaped dwellings made of bricks with flat roof tops. 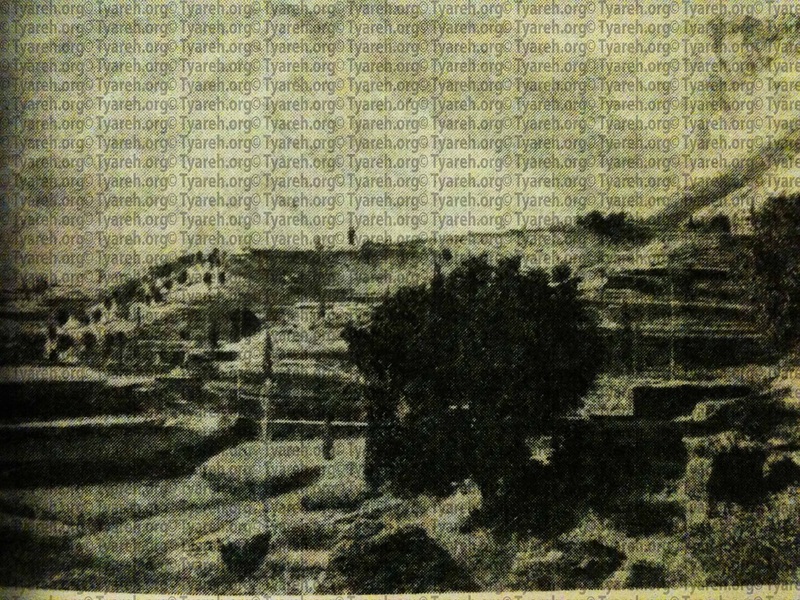 It was not uncommon for people to plant seeds of various fruits or vegetables on their roof tops. 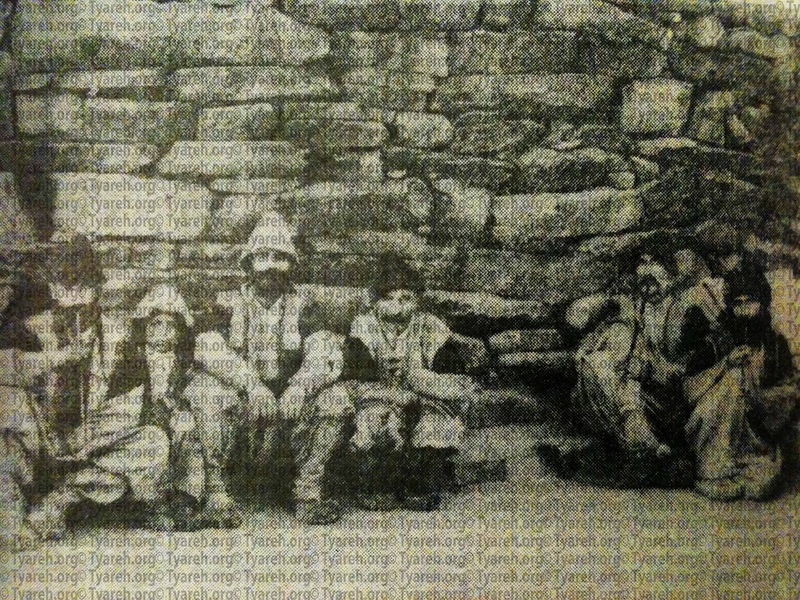 A fireplace usually kept the house warm during the winter and was also used for cooking. 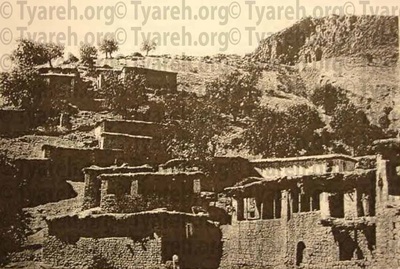 According to Malik Yaqo D'Malik Ismail's book The Assyrians And The Two World Wars, the people of Tyareh were able to make gun powder and musket balls in the early 1800s and almost every house had at least two or three muskets. 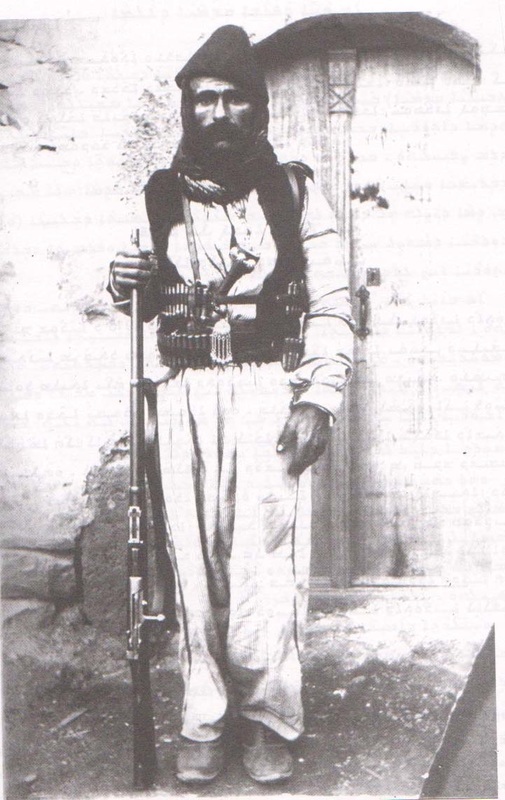 However, after the invention of the automatic rifle and cartridges it became increasingly more difficult to produce ammunition. 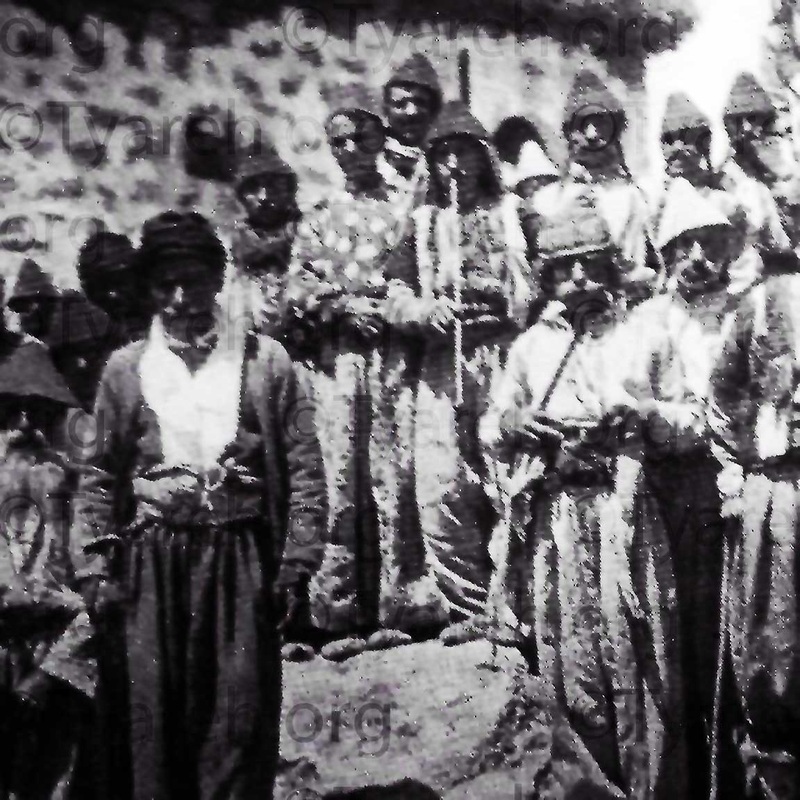 Therefore, they became more dependent on foreign sources for buying ammunition and weapons. The numerous and diverse tribes of the Hakkari region employed an honor system to administer their intertribal and intratribal affairs . For the most part, this honor system varied little between the Assyrian and Kurdish tribes and its scope encompassed issues such as justice, war, family and property ownership. 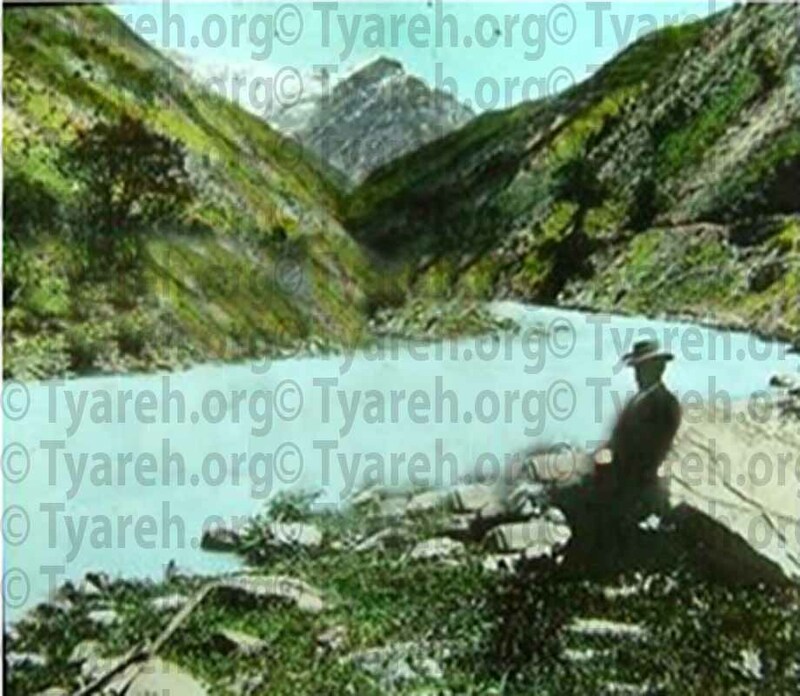 The people of Tyareh were known for their distinct clothing referred to in Assyrian as "Joleh D'Tyariana" which were knitted from sheep hide and fleece and were dark or light in color (Gray, White, Black). 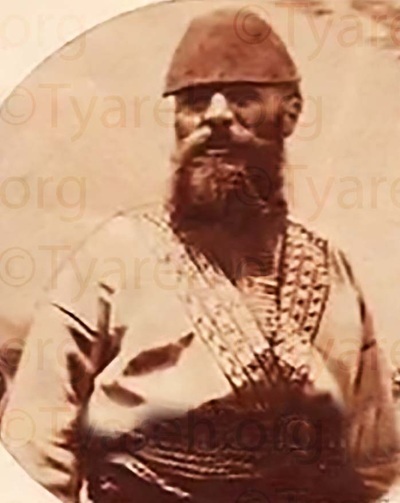 For men, the clothing consisted of the following: a conical hat known as "koseesha" modeled after the helmets of ancient Assyrian soldiers , a vest made from sheep hide and fleece known as "Chookha", shoes knitted from sheep hide known as "Pelaweh" and a waistband known as "Kherkhasa." 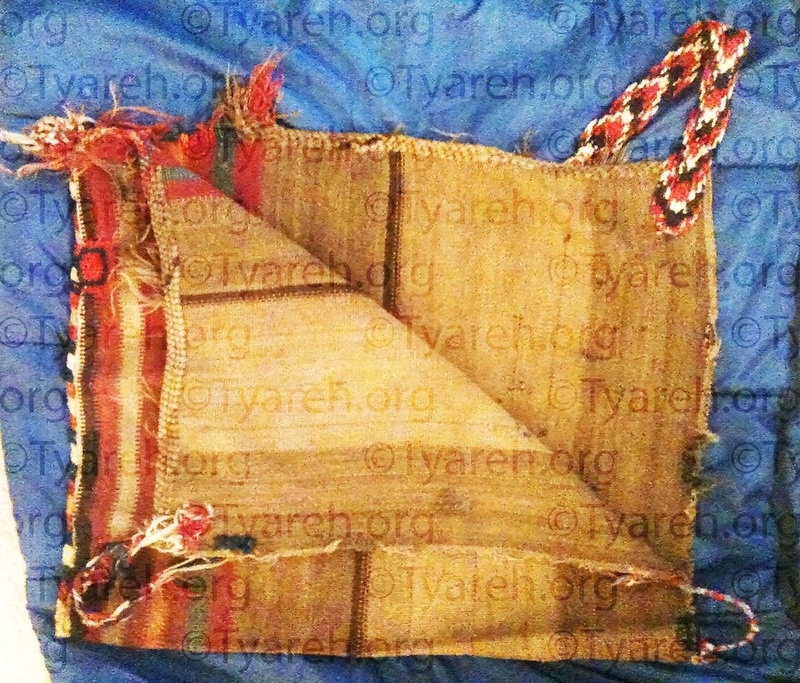 It is important to note that although the Tyareh people wore these clothes in everyday life, they had a different set for celebrations (See below picture). For festivities and weddings, the Tyareh people wore a slightly different set of clothing known as "Joleh D' Khomala" which were identical in design but a little different in color and had additional elements. 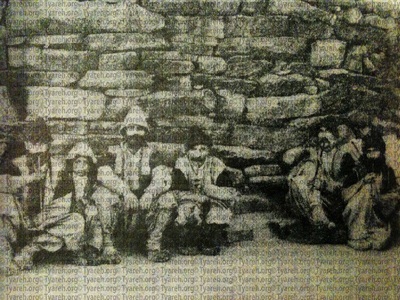 For the men, the difference included feathers or "Pareh" (sometimes colorful) stuck in their hats, a thick scarf known as "Shala" and a piece of clothing attached to their wrists known as "Lawendeya." 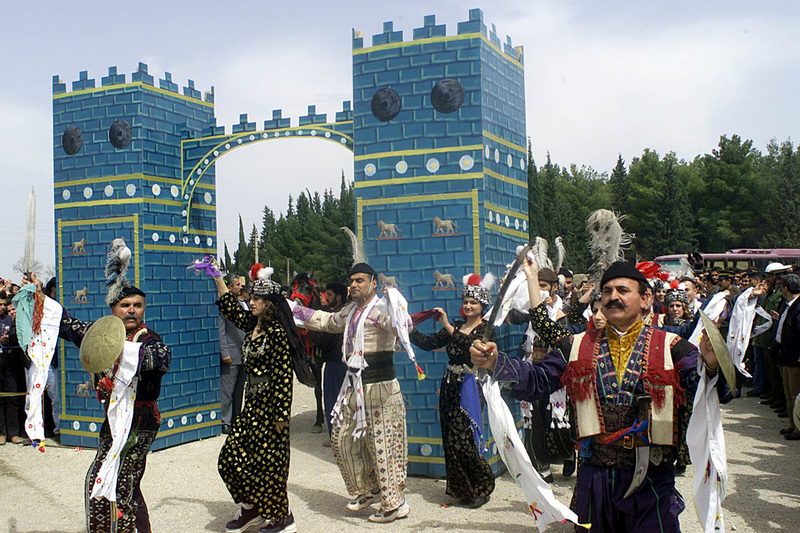 Nowadays, the Joleh D' Khomala are sometimes used as the national costume of Assyrians as they are worn in many non Tyareh weddings or cultural events (See below picture).